Does your skin often feel dry and itchy these days? Are you tired of the dry air in your room? Do you want to breathe cool and fresh air anytime? 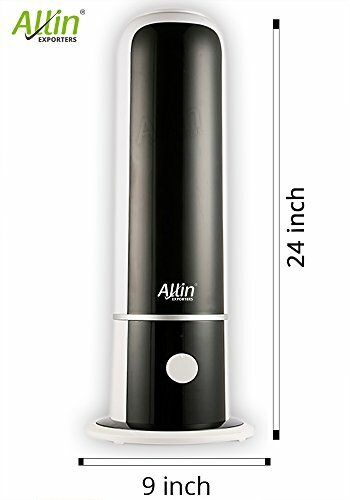 ALLIN EXPORTERS ULTRASONIC COOL MIST HUMIDIFIER OFFERS YOU THE BEST SOLUTION. Allin Exporters Ultrasonic Humidifier is the perfect choice for your home and office. 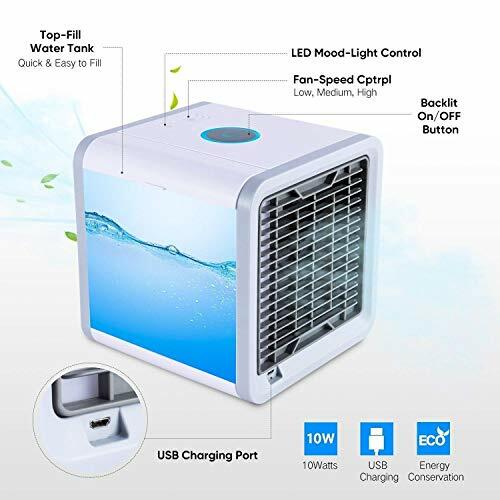 With its compact and smart design, this compact unit is energy-efficient and uses ultrasonic technology to add soothing moisture to dry air which is indispensable for everyone, especially for children and the elderly. With adopted ultrasonic technology, Allin Exporters air humidifier is extremely quiet - less than 30dB. The humidifier has inside low water protection in case of lack of water. 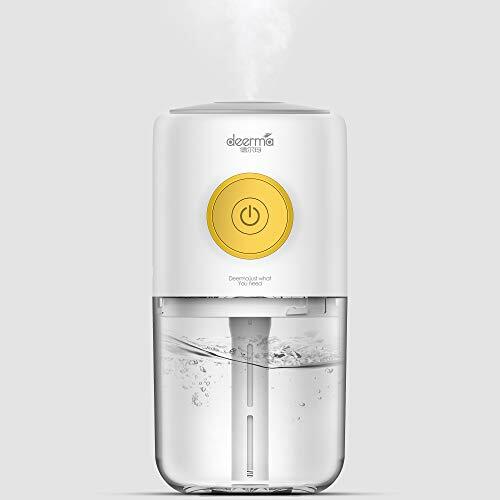 With its high capacity water tank, this tower shape air humidifier can run up to 12 hours continuous output and produce up to 250ml of moisture per hour to soothe cold, cough, and flu symptoms. To set your desired humidity level, conveniently adjust the amount of mist flow by turning the dial knob. It gives out cool and smooth mist, softening and moistening dry and chapped skin. Automatic waterless power off when water used up which ensures safety. Please fill the water tank with distilled or filtered water which is highly recommended. Please clean the humidifier at least once a week to suppress mold growth. Please do not cover anything in the front of inlet grill and the top outlet grill. क्या आपकी त्वचा अक्सर इन दिनों शुष्क और खुजली महसूस करती है? क्या आप अपने कमरे में सूखी हवा से थके हुए हैं? क्या आप कभी भी ठंडा और ताजा हवा सांस लेना चाहते हैं? 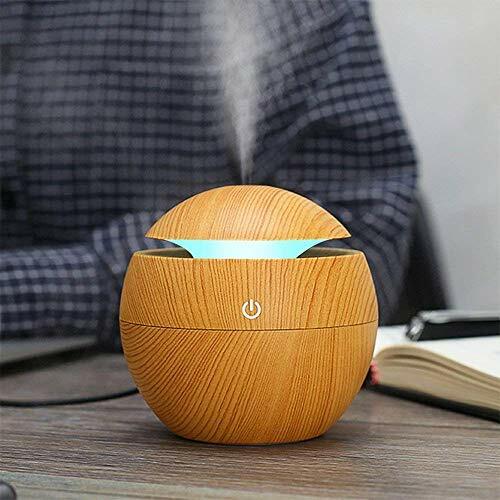 3 IN 1 ULTRASONIC HUMIDIFIER AROMA DIFFUSER: Allin Exporters Tower Shape Cool Mist Ultrasonic Humidifier works as a 3 in 1 device - Humidifier, Negative Ion Generator, Air purifier. Just plug-in and use it the way you want. Built-in filter. 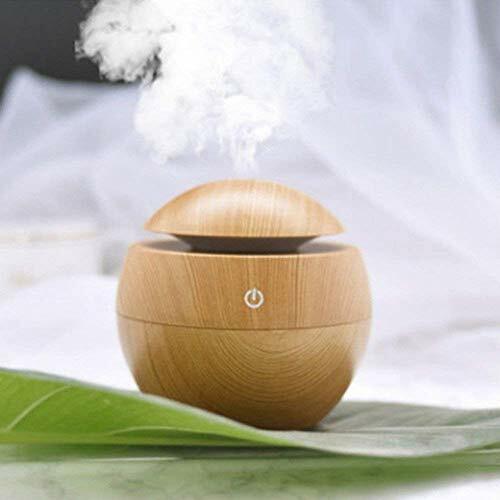 Do not use essential oils as it may damage the humidifier. IMPROVE AIR QUALITY: Allin Exporters ultrasonic humidifier moisturizes the air with ultrasonic cool mist technology to improve air quality and create a comfortable atmosphere. It lets you breathe better when you are sleeping with air conditioner whilst improving the sleep quality. It gives out cool and smooth mist which softens and moistens dry and chapped skin in winter. 4 LITERS CAPACITY AND GREAT MIST OUTPUT: This tower shape air humidifier can hold up 4 liters of water and produce up to 350ml of moisture per hour. It can run up to 12 hours straight in a without the need of a refill. Automatic power-off function starts when water has been used up to ensure safety. WHISPER-QUIET & ADJUSTABLE MIST OUTPUT: Easy to rotate knob allows different level of mist output up to 350ml/h. Ideal for humidifying air in a single room or big bedroom. And the negative ion produced by ultrasonic vibration will help to purify the air and restrain bacteria. 360 DEGREE ROTATABLE NOZZLE: It features a 360-degree rotary nozzle to diffuse the cooling moisture into any direction you want. No matter whether you want the cool mist towards or away from the residents, its rotating head can be directed towards you, your kids, baby, and pets to relieve dryness and improve the night sleep.